Floss vs Interdental brushes. Who Wins? Interdental cleaning is fundamental to your oral hygiene but which is better floss vs interdental brushes. In 2016, the US government removed the recommendation to floss daily because the medical benefits of flossing are unproven. This sent shockwaves around the dental community as floss was a staple recommendation to patients. Was it all a hoax? Even when using an electric toothbrush, you are missing out 40% of the tooth. This is because the toothbrush bristles cannot physically access between teeth. 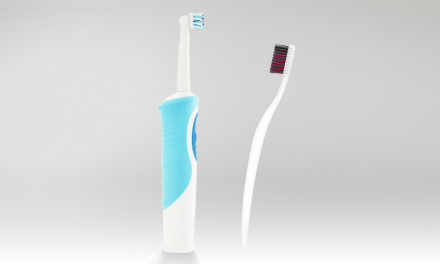 With Sonic and 3D oscillating rotating electric toothbrushes, there may be some “non-contact” brushing, but this will not be significant between teeth. 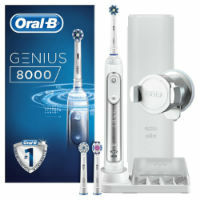 Non-contact brushing is a phenomenon where some electric toothbrushes can clean surfaces they do not physically touch. Pretty cool right. Tooth decay and gum disease is always worse interdentally. This is because dental plaque tends to harbour in these areas. It is the bacteria within dental plaque that causes tooth decay and gum disease. 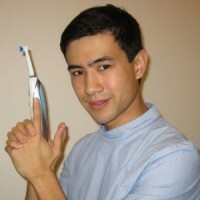 It is essential that you clean between the teeth, but with what? Interdental brushes are effectively bottle brushes for teeth. They consist of a plastic handle, a wire and the bristles. The bristles of the interdental brush rub against the tooth surface brushing away the plaque. 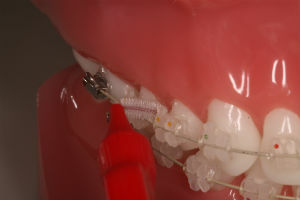 I often bend the wire slightly to make it easier to access the teeth (See picture below). There are a few different manufacturers of interdental brushes however the most well-known brand is TePe. This is the brand that I personally recommend. Interdental brushes are more effective at cleaning interdentally – The bristles provide better cleaning between teeth than floss. See the research below. Good for people with braces – Interdental brushes can fit underneath the orthodontic wire and fit into the nooks and crannies that the toothbrush cannot reach. Takes less time – Once you get used to interdental brushing, I find it quicker to do than flossing. Cochrane performed a review of the research comparing floss vs interdental brushes. They found that there were seven studies (total 354 participants analysed) that effectively compared floss vs interdental brushes, all of which were of low quality. All seven studies showed a reduction in gingivitis (gum disease) at one month, in favour of interdental brushes. This translated to a whopping 52% reduction in gum disease. The studies were of low quality so not too much can be read into this result. Interestingly there was ONLY one measly study comparing interdental brushing and toothbrushing to toothbrushing alone. This study showed that there was a benefit using interdental brushes because it reduced plaque and gingivitis at one month. Flossing has become really popular since the dance move went viral. Dental floss is effectively a bit of string that you use to slot between your teeth and clean the dental plaque. It comes in many different styles and varieties. 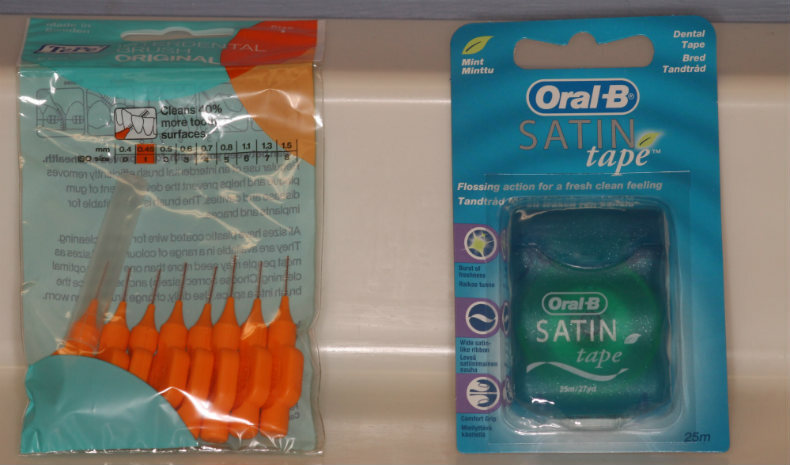 I particularly like Oral-B Satin Tape because it is durable, does not fray easily and has a silky smooth finish. It is cheap to use – Dental floss is easily accessible and is cheap to buy. Dental Floss is one size fits all – With interdental brushes, you need to make sure you use the appropriate size. With dental floss, you do not have to. Very hygienic – As dental floss is single use, it does not harbour bacteria. 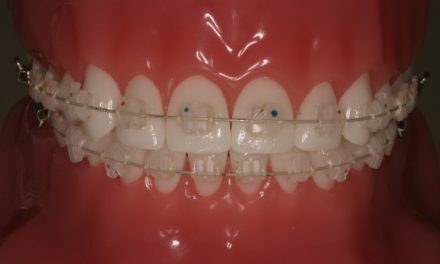 It is hard to use – Dental Floss is really technique sensitive and requires a good teacher to do properly. 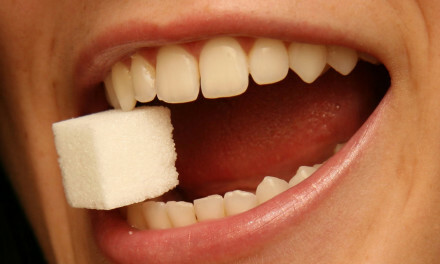 You have to form a C and almost “scrape” the floss up the side of the tooth to remove dental plaque. 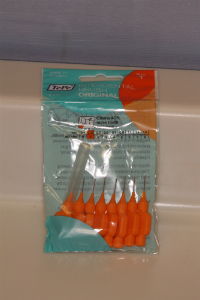 Not Reusable – Interdental brushes can be used more than once. Dental Floss is disposable. Dental floss can cut gums – If you are putting too much force on the dental floss it can easily cut your gums. This can be painful. Not as good for people who wear braces – The orthodontic wire blocks the dental floss from going down the side of the tooth. Interdental brushes are much better. More time consuming – Using dental floss properly takes time and is a longer process than interdental brushes. As mentioned above, Cochrane performed a study comparing dental floss vs interdental brushes. They found that interdental brushes outperformed dental floss at reducing gingivitis (gum disease). As gum disease is mainly caused by dental plaque, we can safely assume that interdental brushes clean better than dental floss. In this comparison, interdental brushes come out as the winner. They are much easier to use and less fiddly. I do think that you should still use dental floss, on any spaces that interdental brushes do not fit. For any good oral hygiene regime, it is integral to use both interdental brushes and dental floss. If for whatever reason, you were hypothetically stuck on a desert island and could only have one, then I would choose interdental brushes. Which one would you choose? Answer in the comments section below. Thank you for reading my post on Floss vs Interdental Brushes. 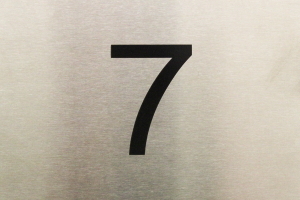 If you would like to ask any questions or have a story to tell then feel free to use the comment section. I hope you have a great day. Never thought about the advantages and disadvantages of floss and interdental brushes. I’m used to dental floss. I would say that for most people, they will find that using both floss and interdental brushes better. It is really dependent on the size of the gap between teeth.